I cannot believe another year has been and gone, it’s crazy when you think about it – it makes you realise that you should not waste time on things that don’t matter because when you look back and reflect – was it worth it? 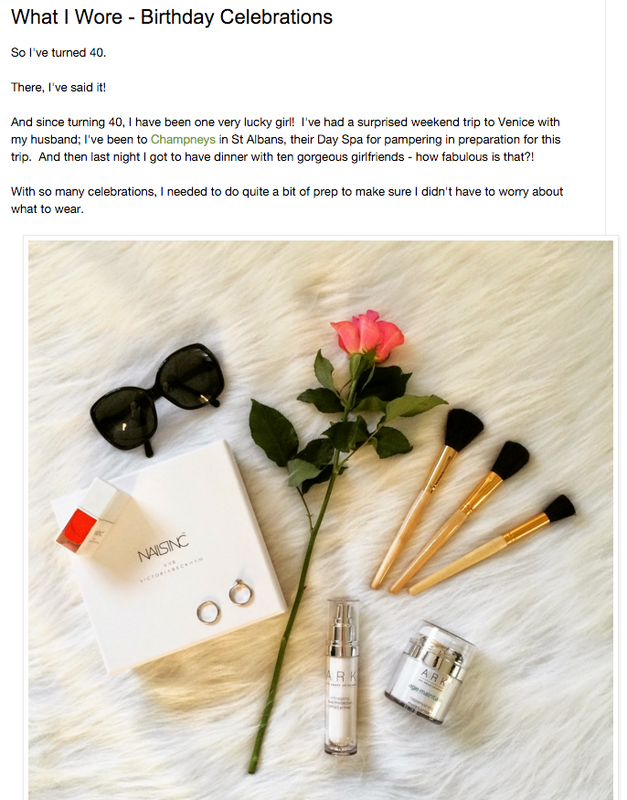 I thought I would take a look at the posts I’ve published this year, and share with you my favourite five. At No. 5, it’s the day I spent with Chantelle Lingerie team in London, it was a great fun day and I learnt so much about protecting your breasts! Have a read of it here. At No. 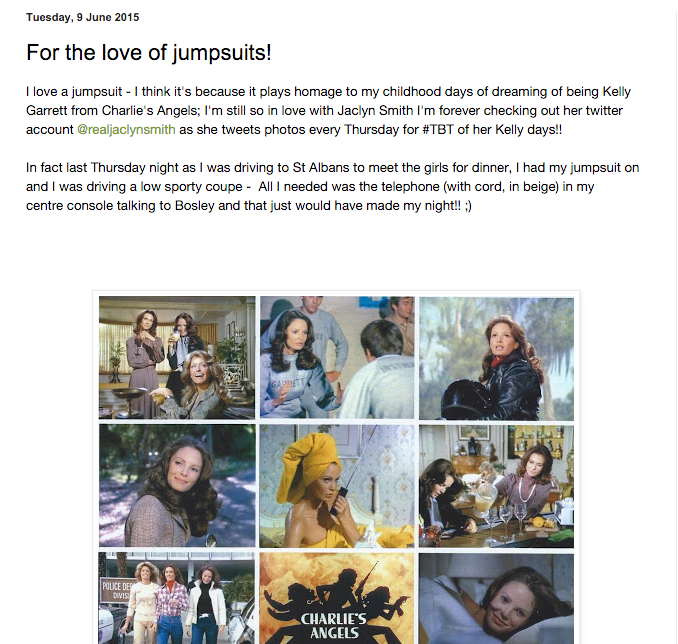 4 – For the love of jumpsuits – I was only looking at some yesterday with a view to purchasing!! 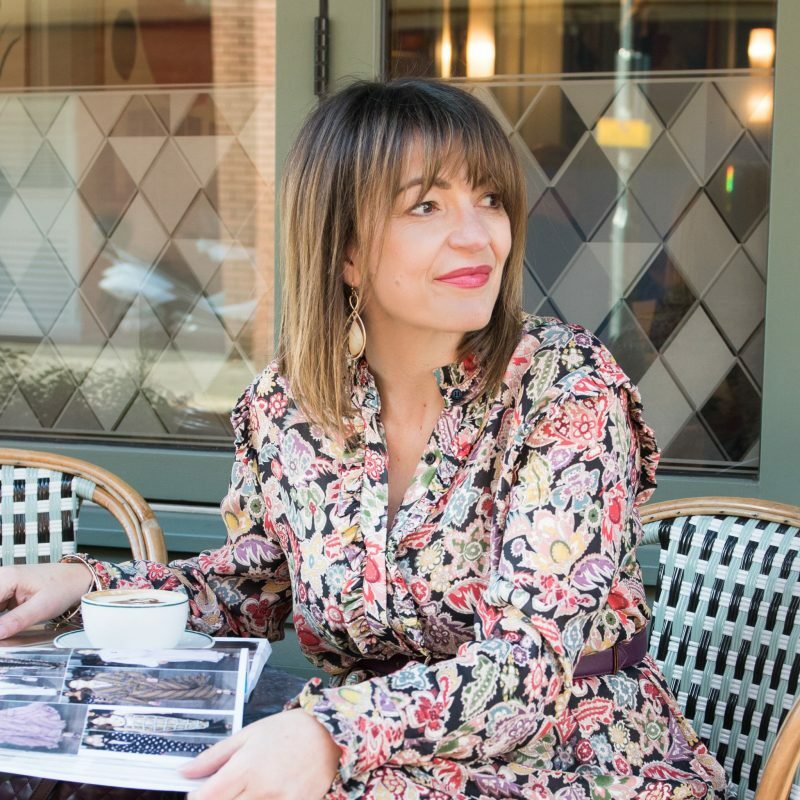 I still love them and think they are the most versatile garment you can own, take them from day wear to glamorous girls night out! Have another look at this post here. At No. 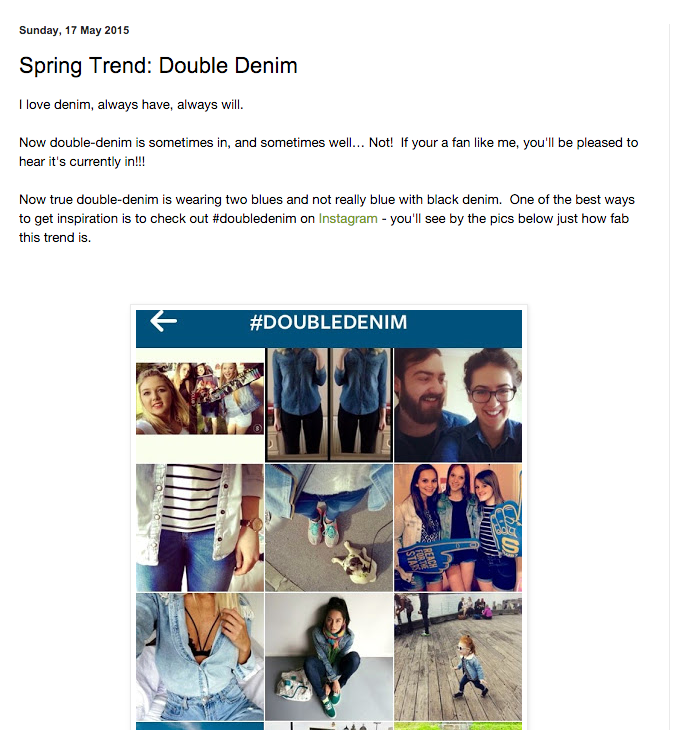 3, well I wrote about this in Spring, however I’m sitting here writing this post wearing DOUBLE DENIM!! Great trend, it’s such an easy one to wear, if you need inspiration for this trend, check out pics on Instagram… and click here for my post. And finally at No. 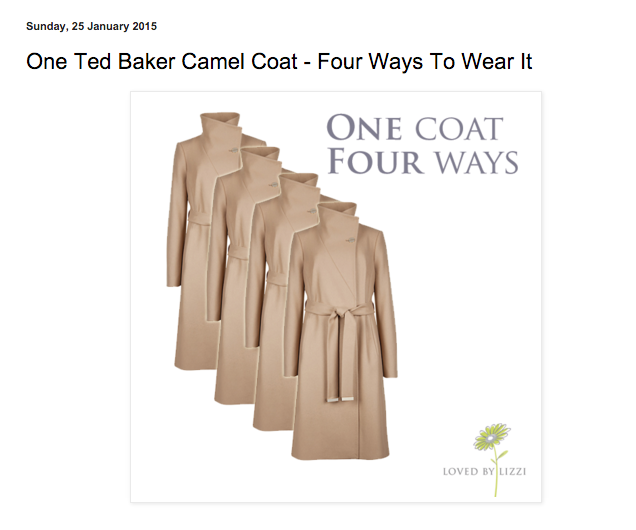 1 my most favourite post (with the help of my photographer Carol) is the one about my Ted Baker coat – Four ways. It was great fun pulling it all together and I had such great feedback from my readers, in fact I think a few of you went out and purchased one, and so you should, it’s F A B U L O U S ! I’ve been wearing it over the last few weeks and I get so many lovely compliments from both men and women – you simply cannot go wrong with it! Have another read of it here. And that just leaves me to wish you all a Happy New Year and the best of health and happiness for you in 2016.